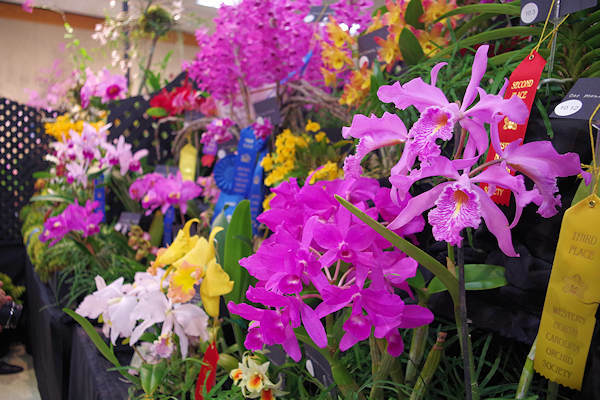 Go to the N.C. Arboretum to step into a lush, tropical world at the Asheville Orchid Festival. Hundreds of orchids will fill the Education Center of the Arboretum in this show, which is one of the largest in the southeast. See dazzling colors, exotic scents, and hints of an ancient world in carefully crafted displays. A full slate of experts is scheduled to present at the event, offering a daily repotting clinic, guided tours and a variety of lectures. 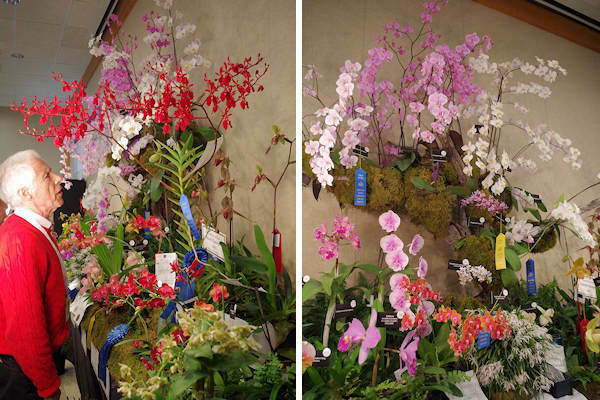 It's presented by the Western North Carolina Orchid Society (WNCOS). 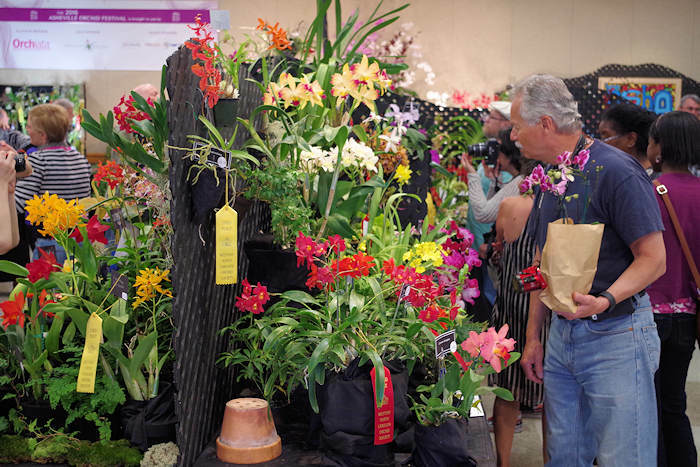 At the beginning of the festival, a team of judges will evaluate the orchids and accompanying displays. Buy orchids and supplies from many vendors. Classes & lectures are held both days. The show is open 9 AM-5 PM. While you are there, explore the Arboretum’s early spring color with 65 acres of cultivated gardens, ten miles of hiking and biking trails, and engaging exhibits. 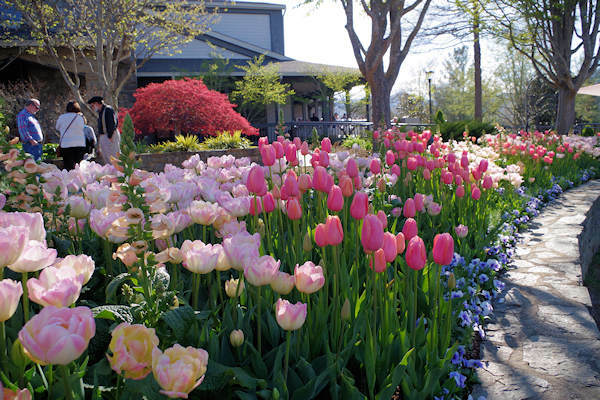 Peak time for tulips and azaleas is April to early May. Admission is $5/person, plus regular Arboretum parking fee of $14/car. 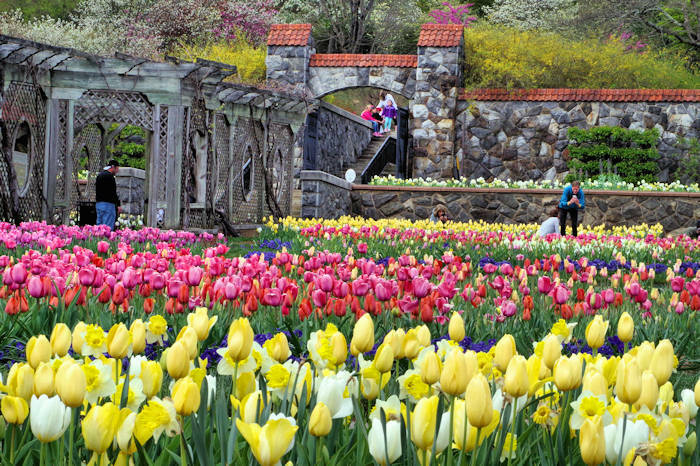 For more information, see our NC Arboretum Guide and other Spring Arboretum Events. Also see orchids in Biltmore's Conservatory during Biltmore Blooms.